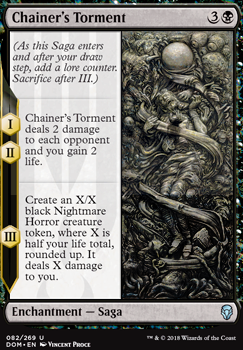 , — Chainer's Torment deals 2 damage to each opponent and you gain 2 life. — Create a X/X black Nightmare Horror creature token, where X is half your life total, rounded up. It deals X damage to you. Hhm I guess cutting the Runaway Steam-Kin plan for black cards is a possibility. I have the feeling though that Sword-Point Diplomacy is too much with 4 Risk Factors already in the deck and Chainer's Torment and Sovereign's Bite are not really good enough to be worth it. 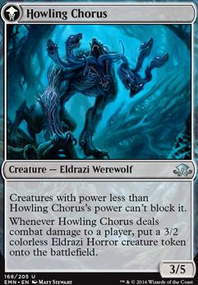 Does it have to be mono red? Because a B/R life drain/burn deck would work pretty well. That way you can also put stuff like Sword-Point Diplomacy which works hilariously with Risk Factor or Chainer's Torment/Sovereign's Bite and so on. I've decided to just drop Chainer's Torment all together. I found in my testing that Antiquities war just over preforms in all aspects. 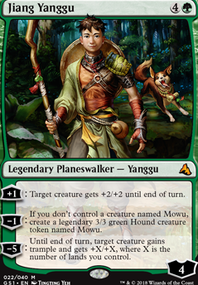 Gets through my deck, finds me more mana dorks/rocks(to better capitalize on the Fall play), and sets up a win con on turn six when fall goes off. The ornithopters will rotate out, but they are just so good for Skilled Animator and Zahid, Djinn of the Lamp. Silverdrake I like the suggestion thanks! 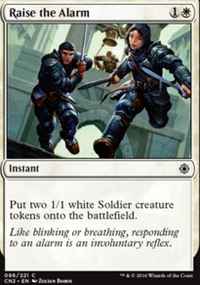 The one thing I haven't been super happy with yet in the deck were the two copies of The Eldest Reborn. I know I have a copy or two of Chainer's Torment around here somewhere, so I'll cycle that in and give it a shot with my casual group tomorrow night. Looks neat. 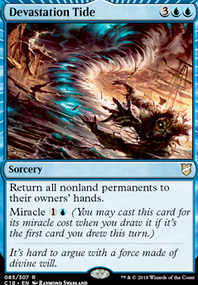 If you're looking for recent cards you might having lying around that would be fun to play with in this sort of deck, consider Chainer's Torment. Lot of fun to play in limited, which is the closest thing to casual I've played in a long time haha. Have fun with it!